Twilight falls over the city walls as the cloaked figure climbs the fire escape. Reaching an open window, he draws the Urban Warrior Tanto silently from its sheath, listening for any movement within before entering the building. 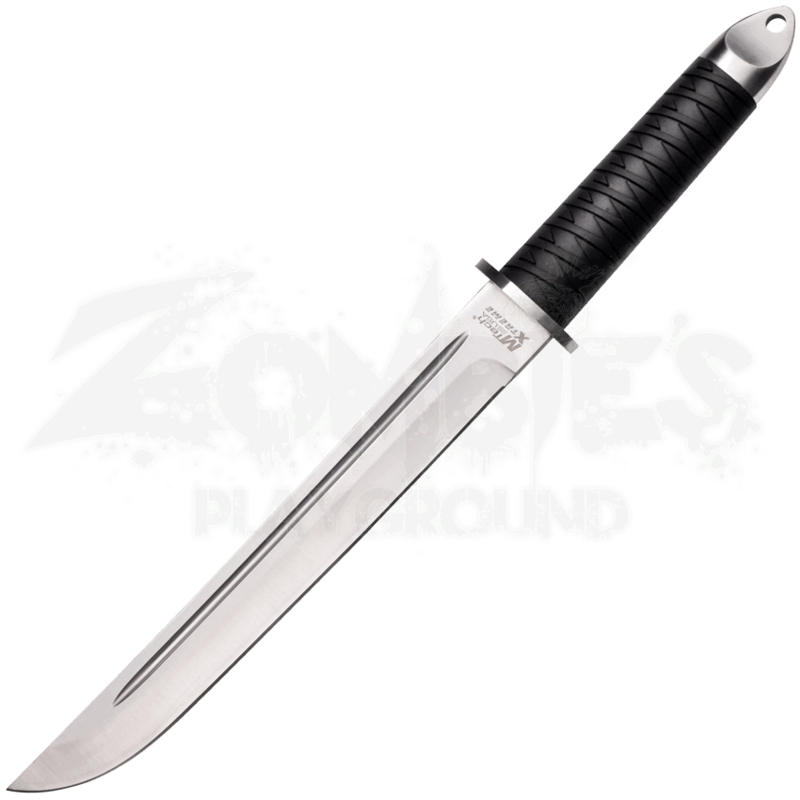 Whether you are hunting the undead or in need of a quality survival tanto, this fixed blade knife is a superb choice. 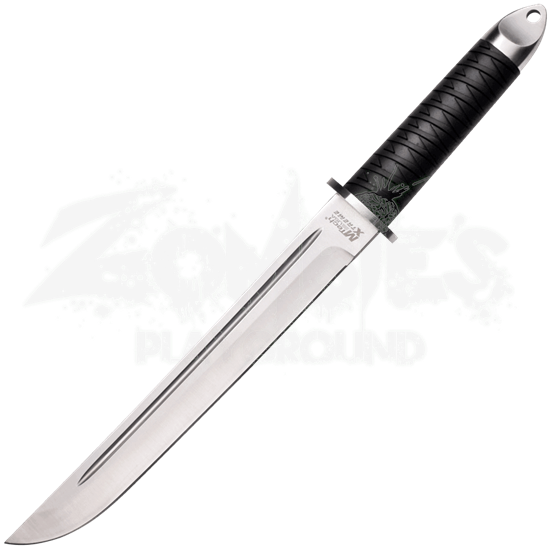 The 4.5mm stainless steel blade features a traditional tanto style point with a fuller. The handle is covered in black rubber with a ribbon pattern for a secure and comfortable grip. A drilled lanyard hole in the pommel provides added function. When not in use and for safe transport, a 600D nylon sheath is included with the Urban Warrior Tanto. Be sure to add this tactical tanto to your arsenal.